I use my Kitchenaid w/dough hooks and blend until it forms a dough ball. After the dough is formed, separate into three equal pieces. Wrap all dough with plastic wrap whenever you are not using it. I mashed a few canned beets until I got a paste (about 2 tablespoons) Add the mashed beets to one of the separated portions of dough. Mix again in blender adding more flour until you get the right consistency for your pasta dough. I cooked, mashed and chopped spinach. Using about 2 tablespoons to add to the other separated portion of dough. Mixing again in blender adding more flour until pasta dough consistency. Roll the white dough ball into a sheet. 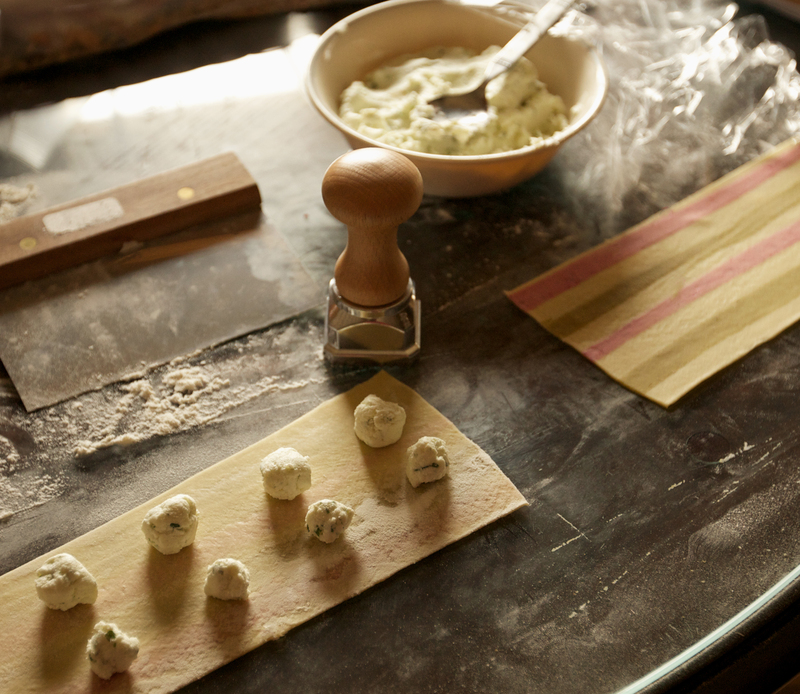 Roll the green and the red pasta into sheets. 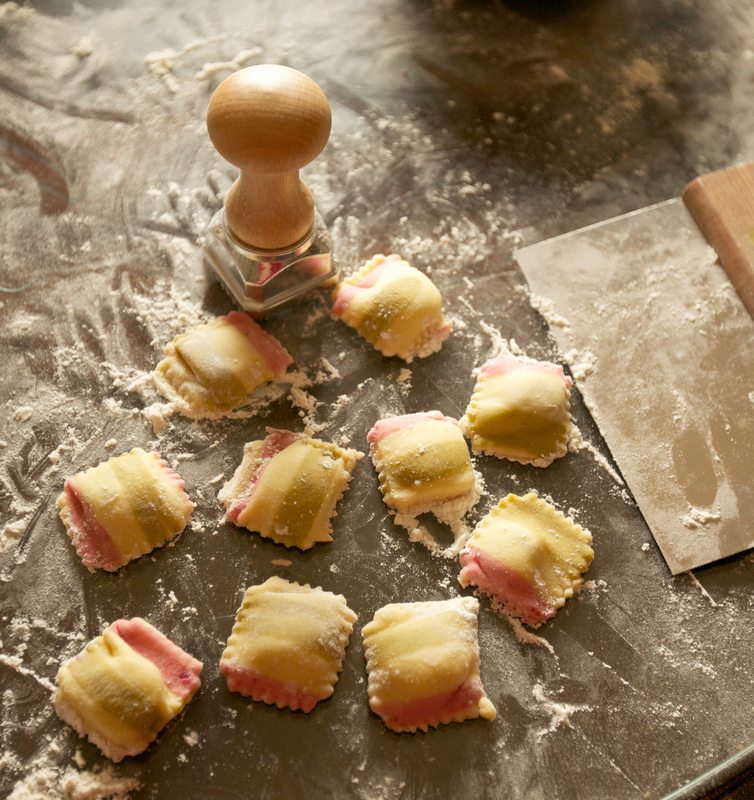 Use the fettuccine noodle attachment to cut the green and red pasta into noodles. Place the colored noodles over the white dough sheet in the desired color sequence, leaving spaces where the white color should show. 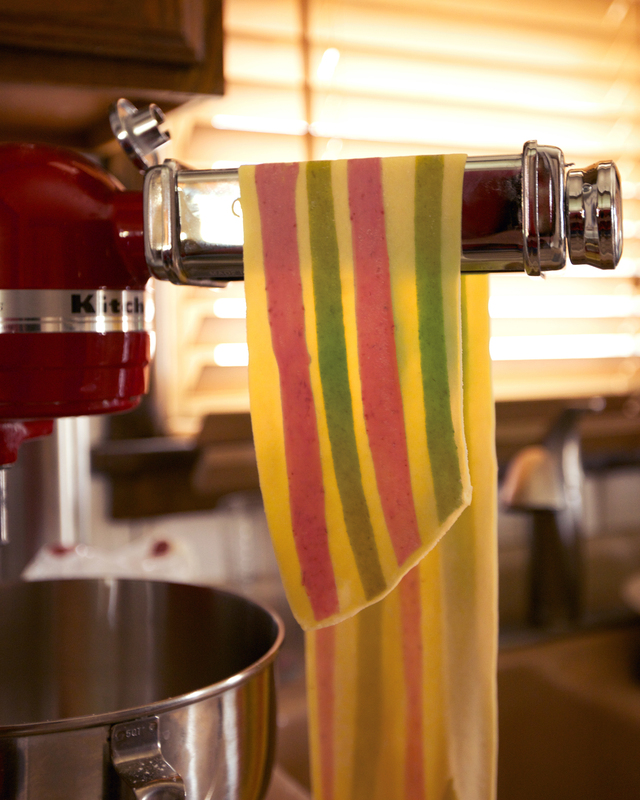 Press the colored noodles so that they will stick to the white dough sheet, and roll the sheet to the desired thickness using the pasta machine. Tri-colors will only be on one side. Mash or blend all ingredients until you have a paste. Use desired sauce or just olive oil and grated cheese. The goat cheese filling is AMAZING! 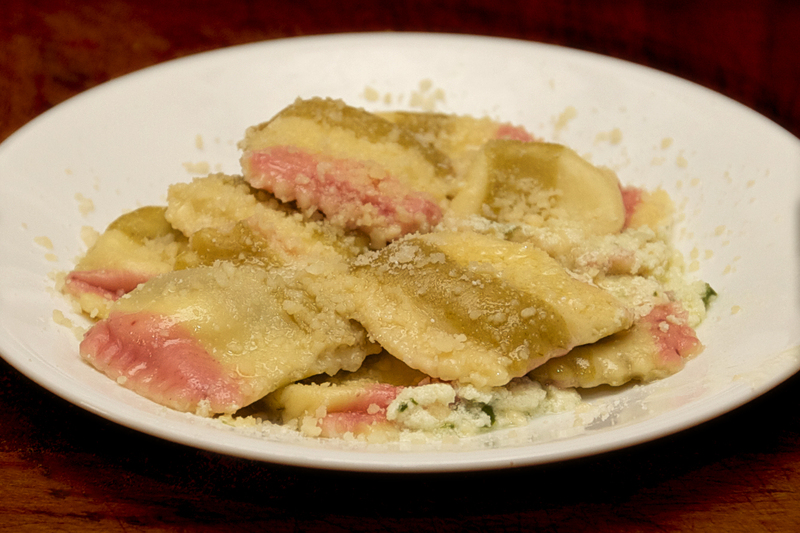 This entry was posted in Uncategorized and tagged goat cheese, homemade pasta, pasta, ravioli, tri-colored. Bookmark the permalink. OMG!! That is a lot of work. I’m sure it was knock-your-socks-off DELICIOUS!